Dairy companies can sometimes make the best non-dairy alternatives too. Vitalite made by Dairycrest is about the best tasting vegan margarine for example. We reviewed Delamere Dairy's soya shakes earlier this week and thought they were pretty good, so we sought out their soya milk too. 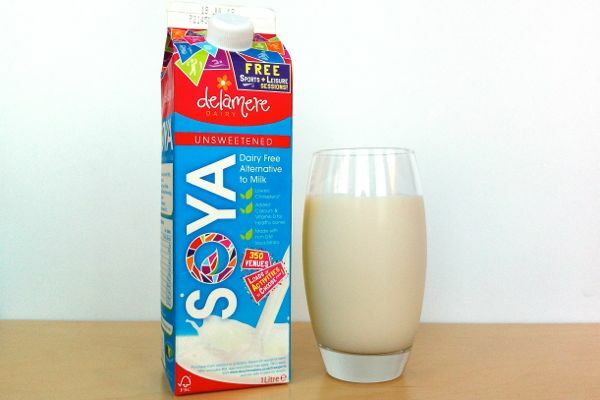 We've never quite understood the attraction of 'fresh' soya milk and most of them taste worse than their UHT versions...so how does Delamere's version fare? Really well...this is a great tasting fresh soya milk. Chilled by the glass it's really thick and creamy and spookily like dairy milk. This is one of the few soya milks we'd recommend drinking by the glass as we'd normally suggest something sweeter like rice milk. It isn't bland by any stretch...but what flavour there is is rounded and neutral. We picked the 'unsweetened' version and it's good to see they don't hide behind 'Original' to try and pass off a sweetened version (a sweetened version is available). The real test of any 'fresh' soya milk is in tea and coffee though. Most fresh brands rely on being sweet and always have a hint of vanilla...which absolutely ruins a good cup of tea. Delamere has no hint of vanilla and when added to tea it has a very neutral flavour...although we did detect a little 'toffeeness'. 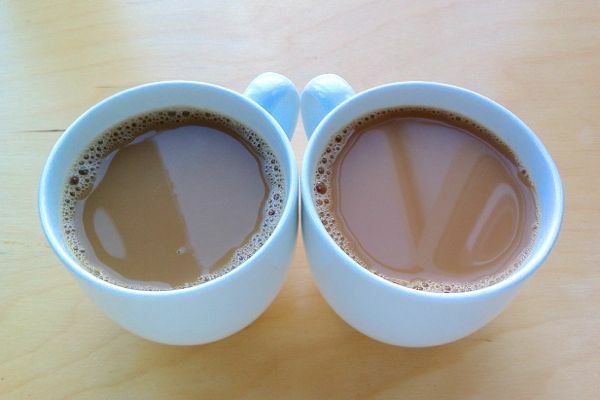 In coffee, the soya milk really shines...no curdling and no detectable taint to the taste of the coffee. This is the first 'fresh' soya milk we'd be happy to use in tea and coffee. All round, the first 'fresh' soya milk we'd recommend. 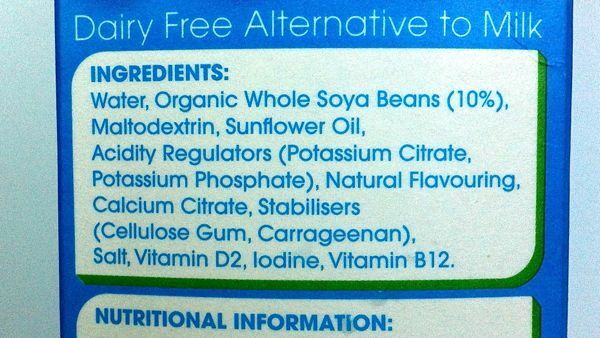 Here is the ingredients panel from the carton we reviewed. Not tried the M&S one. We really are spoiled for choice these days though.